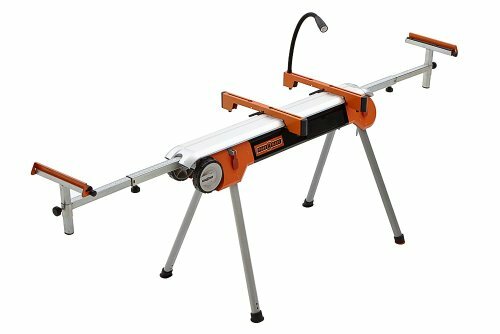 Folding Miter Saw Stand with Wheels Portamate PM-7500. Portable Power Tool Stand with Wheels, LED Light, Quick Tool Mounts and 4 Outlet 110V Power Strip. Product prices and availability are accurate as of 2019-04-25 09:15:12 EDT and are subject to change. Any price and availability information displayed on http://www.amazon.com/ at the time of purchase will apply to the purchase of this product. 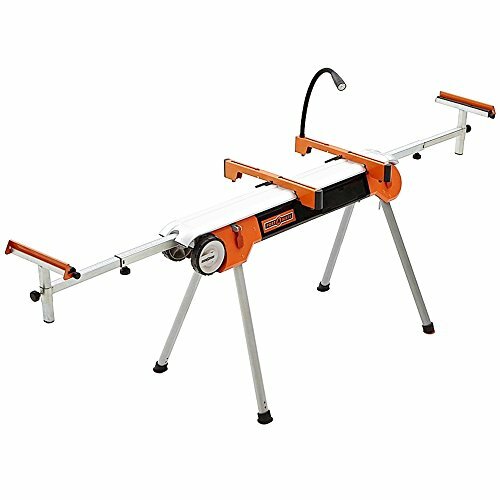 We designed the strong-yet-portable PM-7500 Miter Saw Stand / Work Center to satisfy the contractor / homeowner who wants a lightweight, portable multi-function work center that sets up in seconds and is strong enough to work all day and come back for more. At 49 inches wide, 32” high, and 50lbs in weight, it’s easy enough for your kids to move around and setup. Yet its powder coated steel construction and locking legs give you a stable, level miter saw stand that can handle 500lbs of material with ease, at up to 16’ long (the supports telescope out to over nine feet.) You’re not limited to just Miter Saws, either – the PM-7500 takes “universal” to the next level. 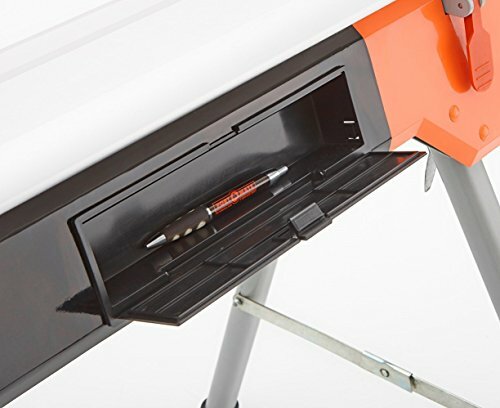 The included tool mounts can fit almost any benchtop tool - planers, bandsaws, scroll saws, miter saws, and more can be securely attached and detached in seconds. Add in the limited one-year warranty, four 110V outlets, LED light, storage capability, and 6” wheels, and you have a work center that you’ll never want to be without. Exceptional portable Miter Saw / Power Tool stand. 6" wheels and foldable legs make for easy storage and transport. Built tough, with rust-resistant powder coated steel finish, and a maximum weight capacity of 500 pounds. Yet extremely lightweight as well (50 lbs. total). Four-outlet 110V power strip turns it into a true work center. Universal quick mounts for miter saws, planers, band saws, and most other bench top tools. Extra mounts (PM-7002) can be purchased.